Wilson has teamed up with former Prince bandmember and R&B singer Liv Warfield to form the new outfit with Prince protégé lead guitarist Ryan Waters and Heart members Chris Joyner on keys, Dan Rothchild on bass and drummer Ben Smith. The band has recorded five new original songs as well as plans for a tour early in 2017. 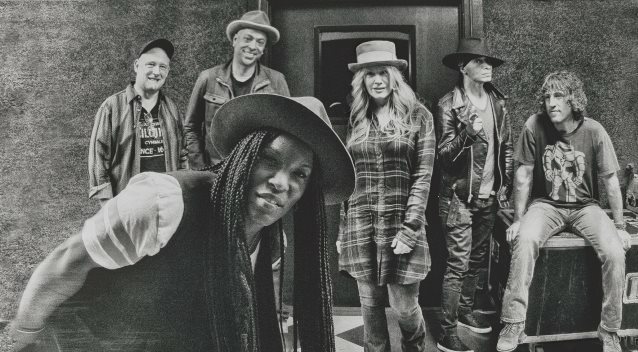 The R&B-based Roadcase Royale arrives following news of a spring US solo tour by Heart singer Ann Wilson while the Seattle group is on hiatus. “Heart is always evolving, changing,” said Ann. “It is a living organism. Right now it's in a cocoon of metamorphosis, and we will see what emerges when the time is right." "Roadcase Royale is a side project," explains Nancy, "and not a replacement for Heart."